And that's exactly what I'm doing. Working day and night. So anyway, since I'm in an MFA program, I don't always get to read what I want. Unfortunately, I am usually scrambling around trying to find a book that's good enough for the "standards" of my professors. Sometimes however, I just want to read a book for fun. Sometimes, I don't want to have to think so hard! Sometimes, I just want to be plain entertained! With that being said, I am taking this summer as an opportunity to read whatever I want. 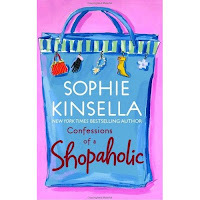 After a grueling twenty weeks of "MFA reading," I wanted something light, so I selected Sophie Kinsella's Shopaholic. 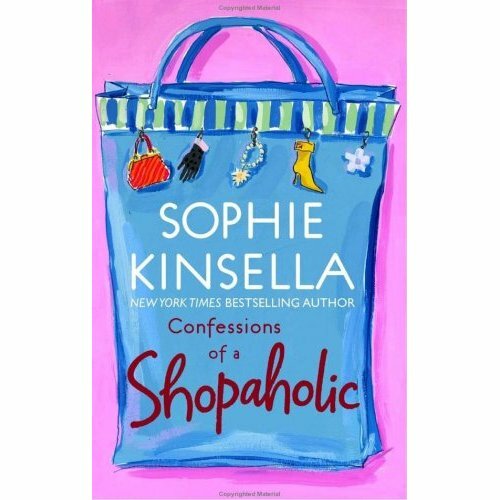 I enjoyed it so much that I will probably read the rest of the books in Shopaholic series. The novel is hysterical (no doubt this is partly due to Kinsella's British humor) and it's really easy to get through. If you like to laugh or just want a light read, you won't be disappointed. What book or books are you currently reading? Are they light reads? Or more serious reads? Also check out the contest going on at Y(A)? Cuz We Write! They have some pretty nifty prizes if you win. Click the link below or find it in my sidebar. Definitely light reads! I just finished a young adult zombie book, "The Dead Tossed Waves" and I loved it.